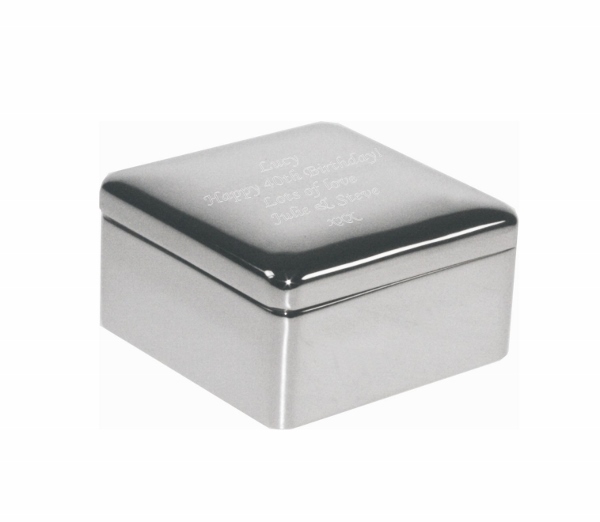 A beautiful engraved square trinket box. Personalised to your exact requirements. This amazing trinket box has a dark blue velvet lining and measures 54 x 54 x 29mm.